When it comes to video games, a lot of people choose to think about trendy games and genres that are around, such as FPS Games and Sandbox-exploration video games. These are one of the best-selling genres in video games, and while they are rather fun for a lot of people, there is a better video game genre around that deserves more attention. Puzzle video games have proven to be a great exercise for our minds, as well as being a great pastime that can be adjusted to any tight routine that you might have in your everyday schedule. They are also known for being extremely fun and entertaining. That’s why they are incredibly necessary for any individual. That’s why I, Amos Arroyo, knew that I must make a company that works in producing the best puzzle games around. Puzzles that are so good that they could be able to challenge anyone to finally complete it, as well making adventures and narratives that can have time for puzzles, which is for the gamers that want a vaster experience that only puzzles. 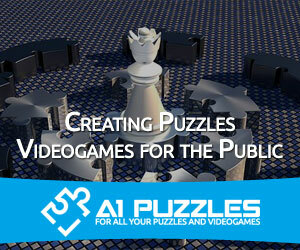 That’s why A1 Puzzles was found, to be one of the pioneers of modern puzzles video games, and introduce great ideas that will be used for many generations in the future. 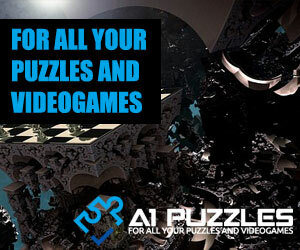 Our puzzles games are meant to be challenging andentertaining, so any gamer with a time to spare can truly enjoy the challenge of an A1 Puzzle game, not to mention, to train their minds. Astime went on and the company started growing, we started to develop videogames for a more mature audience that wishes to train their mind with an extra challenge. And that’s what we’re all about. At A1 Puzzles we aim to create engaging and fun videogames while developing new strategies and implementations in our videogames. We are driven to create fresh and relevant games and content to our followers, readers and gamers out there.